Regal Elegance in her pasture. I am crazy about horses because I think they are graceful, majestic, and regal. I have loved horses and wanted my own ever since I can remember. I have been riding for five years and have won a best in show and four first places with the horse I rode. She was beautiful. 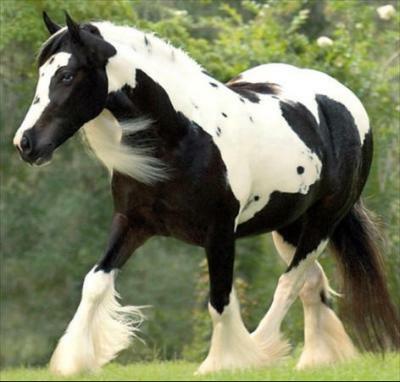 This is a picture of her by the way.She is a Gypsy Vanner Mare. Her name is Regal Elegance. We call her Regal. Love the horse. He's so graceful.I would like to have him so bad. Summer the horse can look like another but that doesnt mean it is the same exact horse!!!!!!!!!!!!!!!!!! !